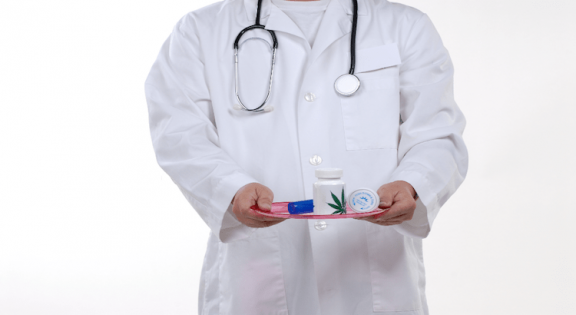 Many of medical cannabis’ medicinal benefits cannot be disputed at this point. Can anyone honestly deny that cannabis can help patients to combat nausea and increase their appetite? With the current opioid crises engulfing our nation, do folks really think that it is just a coincidence that states that provide access to medical cannabis have had better results regarding opioid use, addiction, and overdoses than those that prohibit such use? While prohibitionists like to tout the lack of FDA trials, other doctors, like Dr. Sanjay Gupta, have done their own research and have wisely concluded that the illegality of medical cannabis is the real crime. It is great to see New Jersey State Health Commissioner Shereef Elnahal urge physicians and future doctors to embrace cannabis as a mainstream therapeutic option. As long as marijuana remains a “schedule 1 drug,” the U.S. Drug Enforcement Administration will view it as among the most dangerous substances with no medical benefit, he said. The limited studies that have occurred in the United States often rely on private funding, and the outcomes are based on a small sample size, he said. But the research is promising, Elhanal said. Cannabis reduces pain, muscle spasms and the incidence of seizures, and promotes appetite and sleep, he said. “I want this to be in physicians’ and other providers’ heads as a therapeutic option — not something separate, not sort of in a different category like alternative medicine. This really is reaching a level of relevance and importance to patients,” said Elnahal, a physician and former Veterans Administration official. It is great to see Governor Phil Murphy’s administration wisely tout New Jersey’s medical program, as well as advocate for the legalization of cannabis for all adults. The evidence is clear that marijuana prohibition doesn’t work and that it has disproportionately detrimental impacts upon Black and Hispanic communities while wasting hard-earned taxpayer dollars. Even in a “progressive” state like Oregon, too many regulators have ignored the benefits of medical cannabis and have inexcusably demonized a program that helps the lives of so many patients, reduces healthcare costs, and even generates revenue for the state. Tragically, too many doctors and clinics force patients to stop using medical cannabis in exchange for prescriptions for more addictive and lethal narcotics. The Oregon Health Authority and other states’ medical agencies should join New Jersey in touting the benefits of medical cannabis with presentations, information packets, and even commercials. Too many patients across our great nation have suffered already. If you want to learn the latest about the cannabis movement, whether its medical or adult-use laws, the International Cannabis Business Conference is the event for you. The ICBC heads to Vancouver, British Columbia, on June 24th-25th (get your early-bird tickets by June 6th to save $200) before returning to Portland, Oregon, on September 27th-28th. Will New Jersey Be the Next State to Legalize Cannabis?